Dr. Buddhadasa, Bodhinayake – former Consultant Psychiatrist, NHS UK, beloved husband of Karuna, loving father of Nuwan & Janani (UK), Anushki (Canada), brother of Mrs. Bandu Ranasinghe (ex Bank of Ceylon), Brother in Law of Nanda and Latha Ramanayake (Paris) Indra (BBC Sinhala Service), Ira (Paris) and Ramya and Tissa (Wimbledon), passed away in London on 4th March 2015. Funeral will take place on 14th March 2015 in North London. I think he died at the ripe old age of 75. We attended Ananda College together in the mid-1950s during the S. A. Wijetilleke era. 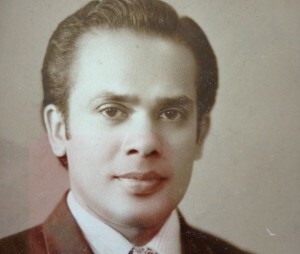 Bodhi was a broadcaster and spent much time at Radio Ceylon as an acolyte of Karunadasa Abeysekera. As I recall, both of us wrote to the magazine Sinhala Daruwa. I don’t think I met Bodhi after we left Ananda. We made arrangements to meet in London in the early 1990s, when he began to suffer from a perennial backache. But I couldn’t keep the appointment. He never forgave me. This entry was posted on Sunday, March 8th, 2015. You can follow any responses to this entry through the RSS 2.0 feed. You can skip to the end and leave a response.